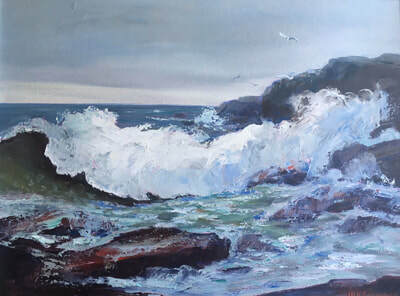 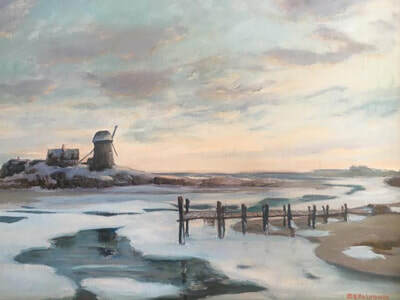 Gallery Antonia is now representing the Marguerite E. Falconer Estate. 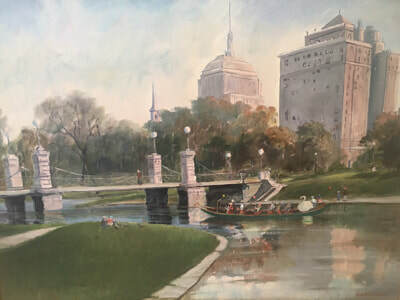 Boston Public Garden, circa 1967 | Oil on canvas | Size: 22” x 28” | Framed: 28” x 34" | $10,500 | Exhibited at Ms. Falconer's solo show, 2011, The Cape Cod Museum of Art, Dennis, MA. 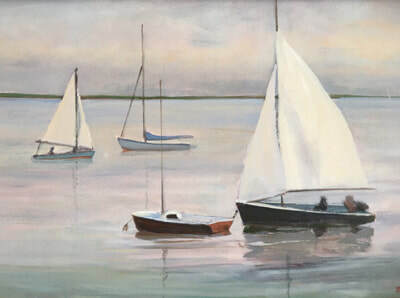 Marguerite E. Falconer is listed in Who's Who in American Art and Who's Who in American Women. 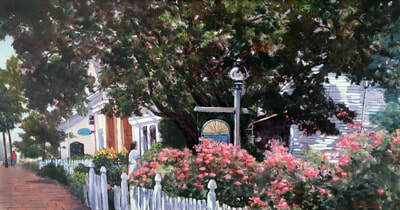 Her paintings are a part of the permanent collection and archives of the National Museum of Women in the Arts, The American Museum of Art at Smithsonian Institute, Washington, D.C., the Cape Museum of Fine Arts, and past member of the world renowned Salmagundi Club, a New York City based art center profiling famous artists from around the country. 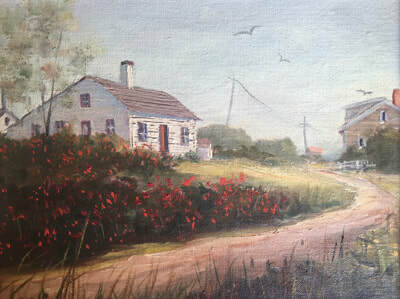 Ms. Falconer is the co-founder of the Creative Arts Center in Chatham and a member of the Copley Society of Boston. 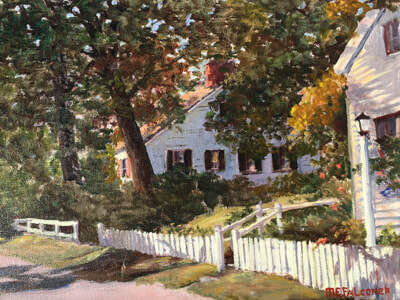 She is a regular contributor to the WGBH Channel II Collection as well as a strong supporter of her local community. 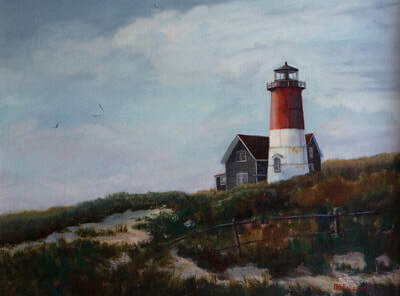 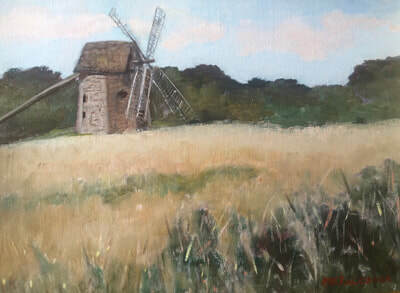 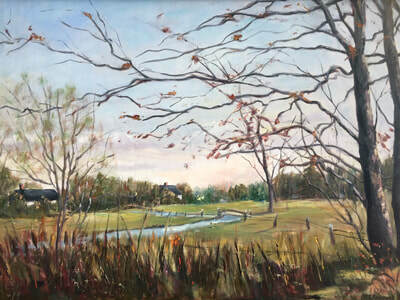 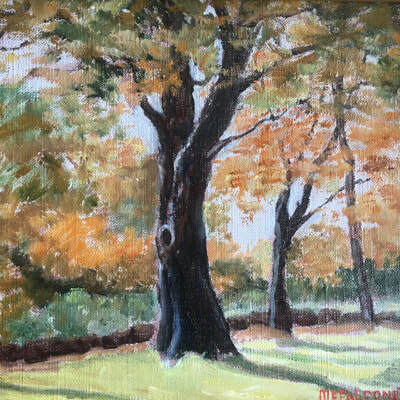 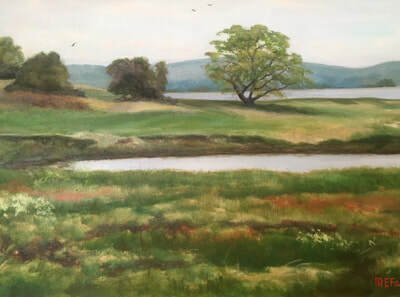 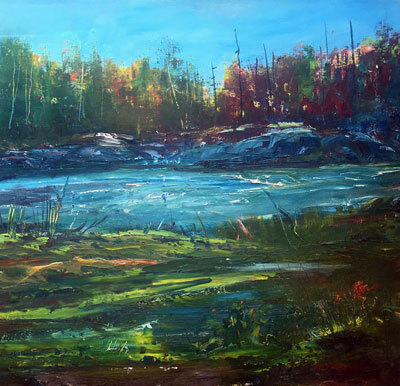 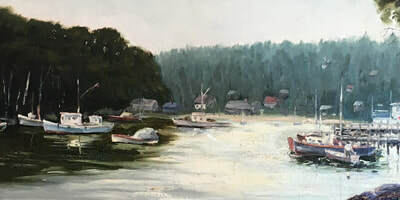 She served as a member of the Chatham Architectural Review Board and is a prominent respondent to local non-profit organizations for her paintings and lithographs. 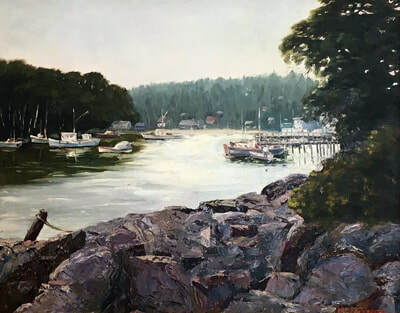 In June 2007, she appeared in a documentary film titled “Wisdom of the Eighties” which was shown at the Woods Hole Film Festival on Cape Cod.